For quite a long time now, there has been a buzz in the air of a new collection from the renowned shoe and boot manufacturer, Red Wing. This collection would be specifically for women. Like all good secret projects, rumours were flying around and there was even a social media leak with the image suitably out of focus and grainy. A couple of weeks ago, our collective curiosity was sated when Red Wing made it official with the release of their first collection in about 6 decades, specifically for the ladies. 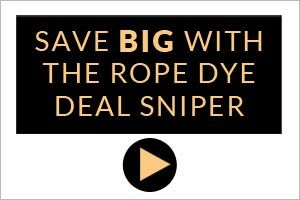 Wanting to know more about how this project developed, Rope Dye headed along to have a chat with Kay (owner of the Red Wing Shoe Stores in Berlin, Hamburg and Munich) and his Marketing Manager, Nicklas. Over a coffee, we learned more about this exciting development from one of our favourite boot manufacturers. Rope Dye: Can you give us a brief overview of the women’s collection? Nicklas Peele: The collection is divided into three parts. The first is the Core Collection, which is a reinterpretation of the popular, classic men’s styles. Red Wing took these styles, deconstructed and rebuilt it for a more fitted cut to suit a woman’s foot. The first thing was the leather which is made much softer (this is rolled out across the whole collection) then different lasts are used, which are more suited to a woman’s foot. The boot is made lighter overall and has a slightly cushioned insole, which will be much easier to break in. The end product is a reinterpretation of the classics, but the boot visually looks more refined, smaller, less bulky, even to the extent of reducing the size of the eyelets. The “Core Collection” consists the most popular men’s styles: the Moc Toe, the Iron Ranger and two versions of the classic Engineer style. One is taller, one shorter . Alongside this, we have the “Legacy Collection”. It is based on the first shoes which were developed for women in 1926. There is the Gloria, that’s the tall lace-up boot and is like the show stopper piece. Then there is the Marion, a higher boot inspired by the majorettes in the parade shows from the 1930s. Lastly, there is the “Modern Collection”, you still have the same core brand identity but it is more fashionable. 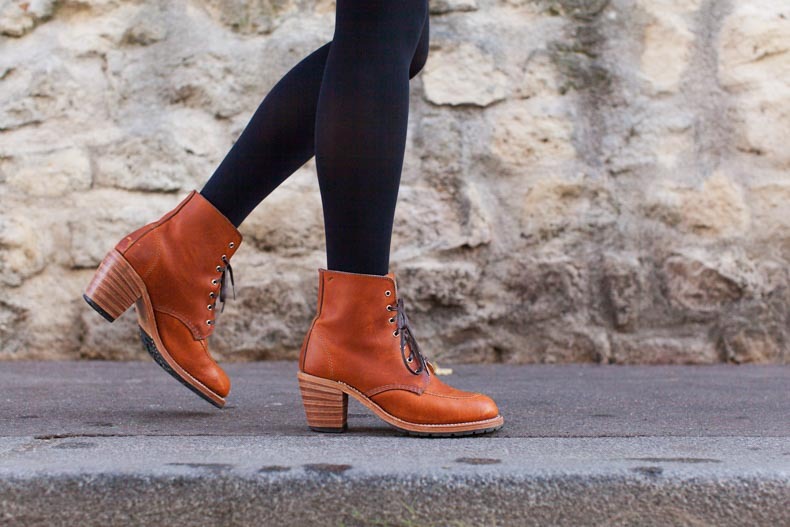 All boots are constructed on a genuine leather-stacked heel. So for example, you have the Harriet, a Chelsea boot on a high, stacked leather heel, and the Clara, a laced boot on a high heel. And then the Lilian, a boot reminiscent of the chukka style. With these three aspects of the collection, we try and cover the complete segment of ladies who enjoy quality in their footwear. RD: It is quite a big departure, Red Wing branching out into women‘s wear, a sector much more associated with fashion. What inspired this decision to go into women’s wear, and will the styles be traditionally seasonal? Kay: I mean, the demand has been pretty high anyway We have had a lot of requests over the years and have had a lot of contact with the female customers. We have a lot of women bringing in their husbands or boyfriends for a pair of boots. Then there is the question. Do you have ladies shoes? 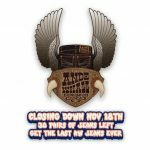 So, we and all other shop-owners communicated that to our headquarters over the past years. Nicklas Peele: When you go back into Red Wing’s history, there has been a woman’s collection, starting in the early 1920s, and becoming very popular as social barriers were broken through. The female mentality and mindset were changed across society at this time. These ladies were definitely pioneers in their mindset. Kay: The women’s collection ran up till the 1950s. The collection at the time was called Miss Red Wing. It was a very elegant collection by this point. Red Wing was also doing women’s golf shoes. At a certain point Red Wing was perhaps pulling in too many different directions when the 60s came around, they discovered once again that they were a work shoe brand. In the 60s they really had to come back to their core. Nicklas Peele: Of course, every season there will be new styles but it is also a case of learning how the market will react to the product. So, the plan is to have a collection for spring/summer with lower cuts and lower heels. We will work closely together with the Red Wing Shoe company, we are all very excited to see how this will develop. Kay: Especially us, as a Red Wing Shoe Store, our forte is not to sell “fashion”. People see the look-and-feel and they initially expect the values of the “Core Collection”. With the women’s collection, they get this contemporary twist but also with the quality the Red Wing are known for. And so far, after the first week, we have had a really positive reaction to the modern styles with the high heel in the Clara. So, for us in store, this is kind of a black box, a little unknown, but we are really curious and positive about it. Sales are good, through the shops and also online. We have had a really good start with it. Another reason for this development is the change in the home market for Red Wing Shoes in the USA. For a long time, Japan and Europe had been the driving force behind the development of the Heritage collection from Red Wing Shoes. Up until recently the US was not really following. But over the past 3-4 years, the US market has exploded. The fact that Red Wing Heritage is “made in the USA” is really being appreciated by the consumers in America. I mean, this created 800,000 jobs in the US, making these “Made in the USA” products. You saw this with Filson in Seattle, Shinola in Detroit and so on. 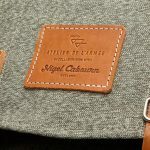 So now they realised that it’s not only the crazy old Europe that is demanding the “made in the USA’ quality and aesthetics, but it’s also their own market that appreciates handmade quality products from their own country. A Red Wing Shoe Store in deep Minnesota that traditionally sold the Red Wing workwear line is now selling a decent amount of Heritage boots and also in small, women sizes. Luckily, the daughter of the owner,Allison Gettings, is also very experienced in building a women’s shoe collection. She came back to the headquarters and built up a women’s team. I mean, usually, it does not work well if only men try to design women’s shoes. RD: I am quite curious how a traditionally “rugged” and “Heritage” brand will be marketed towards women? In the beginning, we have to keep in mind that this is the first season. We have to see where this is going. We truly believe, especially when we see what happens in the last few weeks over social media etc, people are super interested and rooting to see how the Red Wing Women’s collection is developing. 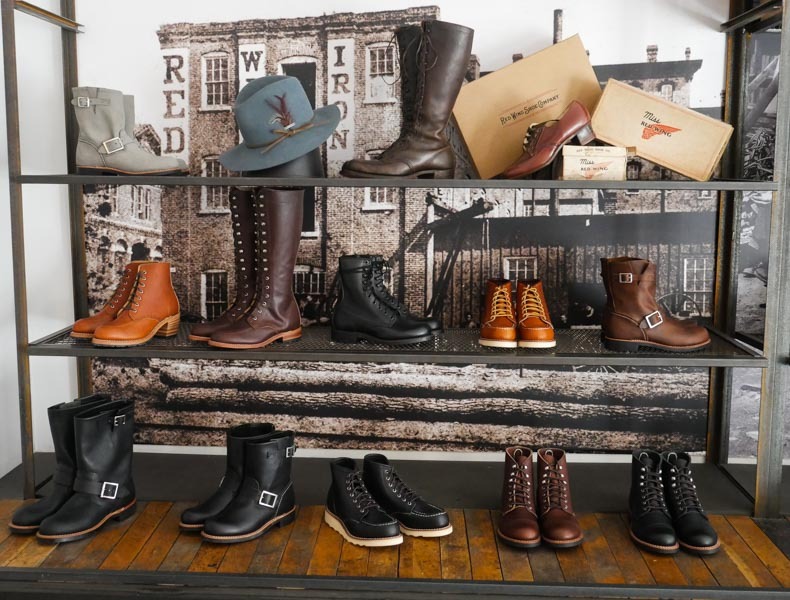 The brand values are maintained, from the boot to the marketing, everything still reflects the core values of the Red Wing brand. They are made in the USA and they are durable. We preach this over and over, you can’t neglect quality because that is the main association that every consumer has with the brand. So this is just a reinterpretation, more targeted to the female feet. RD: And the rough price point? Kay: Between 299 and 499 Euro. RD: Now I would like to talk a little more about the specifics. Where are the boots manufactured? Nicklas Peele: When Red Wing Shoes undertook the mission to create a woman’s collection, they understood the importance of finding a factory with expertise in not only quality but also, creating a boot for women. As expert as they are at the men’s shoes, a boot for women is slightly different. So they turned to the expertise of a family run factory in Arkansas which has been making quality women’s shoes for many decades. Kay: You can’t use the same machines for both men’s and women’s boots. The best way is to take the manufacture to someone who understands the process and to go to where the expertise lies. They wanted to have the same quality. Red Wing knows that partnering with that company makes sense to achieve that level of quality. In the next season, some of the boots will be made in Plant 2 in the town of Red Wing. The workers have been trained and the machines adjusted to build women’s boots. Moc Toe and Iron Rangers will be the first boots to be manufactured in Plant 2. Nicklas Peele: The leather being used for the shoes are from the S.B. Foot Tanning Company in the town of Red Wing. As you see from looking through the collection, there are some new colourways in there. In the future, there will be a number of colourways which will be unique to the women’s collection. The grammature, so the leather weight, is also reduced. It is softer and a little thinner than the men’s shoes. RD: What else defines this first collection? Kay: One thing to add, and this is one thing that brings people back time again and again to the Red Wing Shoe store, it is also possible to re-sole all these shoes. They are all based on a Goodyear Welt construction. I mean, when the collection was announced, this was the first thing that the guys from the Red Wing Shoe stores were asking. They don’t want a product that is purely fashion and falls apart after one season. So all these shoes are Goodyear Welted so we can resole them. And this is something that makes it completely different to most of the women’s brands. Tough and beautiful to look at.